Just one year ago, HP officially introduced the TouchPad, Pre 3 and Veer to its lineup. 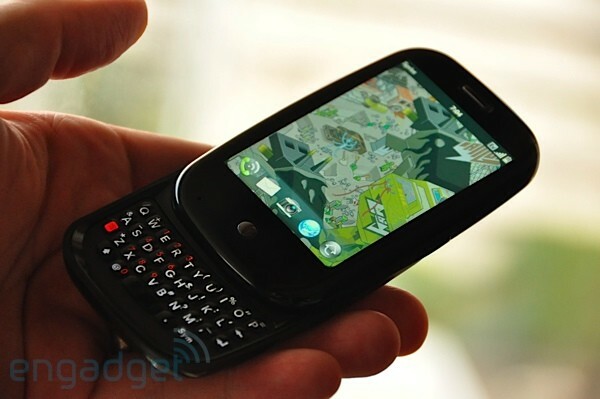 Much has happened in the 365 days since that time, which marked the end of the Palm brand, the discontinuation of the company's webOS hardware development and the decision to open source the crown jewel, webOS. Today, we hope you'll join us after the break as we bow our heads, sing some praises and remember the final three members -- for now, anyway -- of HP's webOS lineup. We'll have fireworks at the end. HP unveiled its latest webOS creations on February 9, 2011, but the devices didn't reach consumer hands until much later in the year. The Veer was first out of the gate, which arrived at AT&T on May 15th. 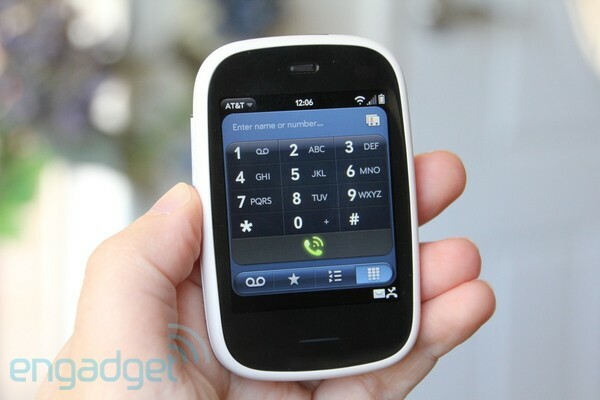 Despite its adorable form factor, the lilliputian handset failed to address the cramped keyboard of the original Pre and was viewed as a niche device among most webOS fans -- whom by and large, waited patiently for the more capable Pre 3. It wasn't until July 1st that HP released the TouchPad tablet, and in perhaps the worst marketing campaign of all time, the company discontinued it -- and all development for webOS devices -- less than two months later. HP liquidated the majority of its TouchPads in an unceremonious fire sale, then announced a few days later that the Pre 3 wouldn't be sold in the US. WebOS was undoubtedly a revolutionary operating system for its time. In many ways, it still is. It was created by Palm, Inc., as a replacement for its ancient Palm OS after the company flirted with skunkworks projects such as the Foleo. The original Pre, released in June of 2009, was initially lauded for its advanced software, but later heavily criticized for its poor build quality. The less impressive Palm Pixi did little to stir interest, and the Pre Plus and Pre 2 were little more than blips on the radar. Short on cash and in need of a lifeline, Palm Inc., sold itself to HP for $1.2 billion in April of 2010. The Veer, TouchPad and Pre 3 were each announced in a climate where the patience for new webOS devices had already grown thin. The subsequent wait for their arrival only stirred unrest, and once they greeted the masses, we quickly realized the hardware wasn't up to par. While not a single member of the group will be remembered as revolutionary, each hold the notable distinction as the last devices to carry the torch of webOS -- in its closed-source era, anyway. Without further ado, we give you the final three. If the original Pre were a river stone that'd been finely crafted over time, the Veer 4G was but a mere pebble in comparison (though, still lovely just the same). During a time when smartphones began to take on additional girth, the Veer performed an about-face and offered itself as an alternative to the large-and-in-charge devices that we've learned to embrace. 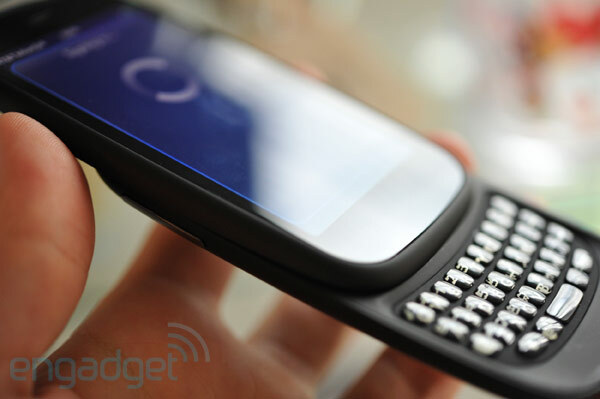 It was a capable HSPA+ handset that brought webOS 2.0 to the table, and while it wielded only an 800MHz CPU, it taunted the world with its snappy multitasking performance. The Pre 3 will ultimately be remembered by most as the smartphone that never was. Although it went up for sale in Europe, those stateside never had the opportunity to snap one up through a carrier. HP undeniably stepped up its game with this one, and with a larger WVGA display and 1.4GHz CPU, it remains the best webOS smartphone to be had. Unfortunately, given the small selection to choose from, that's not saying much. Nostalgia seekers will certainly adore this handset for its obscurity alone, but even they will be forced to contend with the tiny, uncomfortable keyboard and the software's rough edges. The TouchPad holds worthwhile distinctions as the sole webOS tablet in existence (unless you count the TouchPad Go), and the first of HP's products to include webOS 3.0. Those who happened to score one for $99 not only found a great deal, but are among the privileged number to own a cornerstone of webOS history. Sadly, the software lacked the amount of polish we'd hoped to see, and no amount of whole grains and leafy greens will shave the unwieldy bulk from this slate. Still, if we ever see you using one in the coffee shop, we're probably going to want to shake your hand. 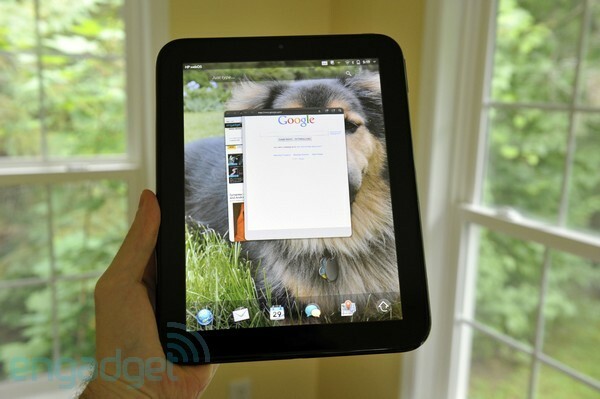 All in all, the Veer, Pre 3 and TouchPad proved to be part of webOS's demise. While each device is lovable, capable and quirky, the combination wasn't enough to protect the venerable platform from the onslaught of Android and iOS. Despite their own individual failings, each holds the unique status as being among the last of HP's webOS devices, and for this reason alone, they'll be revered for years to come. It's our hope that the open source community is able to usher in a new era of webOS software and devices, but for the moment, this is where we must pause and honor the all too brief journey of webOS and its final three.